Farrukh Viqar, famous RJ of UAE and Neeil have shared a wonderful gift with Rafifans on Rafi Sahab’s 87th birthday. Its not very often that a Legend is born. Here is our small attempt to go back to the place where it all began. Farrukh Viqar & Neeil on their expedition, Sangam Express an initiative by 89.1 Radio 4, (U.A.E.) traveled all the way from Dubai to Kotla Sultan Singh (a small village about 30kms from Amritsar, Punjab) to explore the place where it all began for the Singing Legend Md. Rafi. A kaccha ghar, where Rafi saab was born, a friend whose eyes spark up on the mention of his name, the school where the Master studied, all of this and more when Farrukh Viqar & Neeil become your eyes to this little green spot in the heart of Punjab, Kotla Sultan Singh, Md. Rafi saab da pind…! This entry was posted on Saturday, December 24th, 2011 at 12:43 pm	and is filed under Meri Awaaz Suno. You can follow any responses to this entry through the RSS 2.0 feed. You can leave a response, or trackback from your own site. thanks a lot farrukh bhai and nieel bhai. I am also a great fan of rafi saheb and one thing i always feel while listing rafi saheb songs that his humanity purety honesty can be seen in all songs sung by him. without a good human being you can not sing soulfully. his all songs straightway came from the bottom of heart thats why it directly touches to your heart. I would be always thankful to both of you for making our dream true to see rafi saheb’s birth place. may almighty Allahtala bless both of you. Many thanks for sharing this.You’v gone extra mile as usual. Magic of Rafisahab’s voice will remain forever. God made one sun for this earth and only one mohd rafi,without sun there be no life on the earth and without mohd rafi no music…..
You visited the mecca of Rafi bhakts, thats good but you visited India without info. If still in India, do touch. 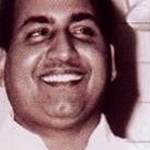 Congratulations to All on the 87th Birth Anniversary of Mohd Rafi Sahab ! A Big News for All Rafi Bhakts. 92.7 Big FM will be airing a marathon of Rafi Sahab songs on 25th Dec.’11 from 9.00 AM to 7.00 PM from all its Hindi stations. Few Rafi Bhakts will also be appearing on the show between 12 Noon and 1.00 PM. So, Enjoy RAFI SAHAB KA SUREELA NASHA the whole day. LONG LIVE RAFI SAHAB ! Rafi Foundation Memorial Society, Delhi.